Thinking of a Wrap Change? Read This. So you first may ask yourself, If I spent money on a vehicle wrap why would I change it? 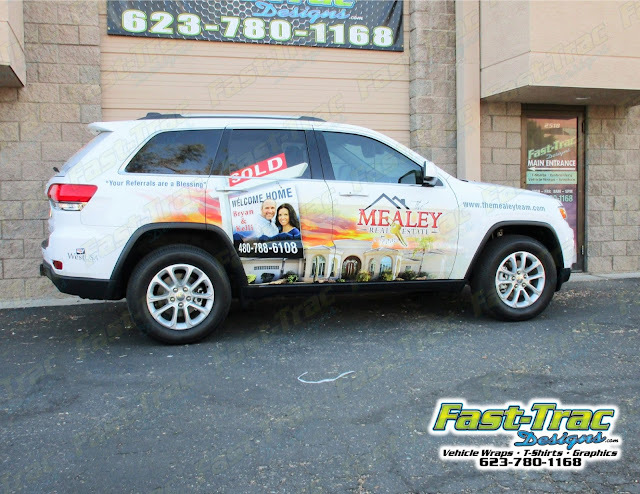 A few reasons to get a new wrap or update the design would be if you are trading in your vehicle, the wrap has been on for longer than 3 years or maybe you just have a new design vision that you prefer. Whatever the situation our team here at Fast-Trac Designs can guide you through the process. brought her ideas to life featuring a clean design with an Arizona sun set. No matter what the reason is for your wrap change we believe it is worth it to keep your wrap up to date, looking its best and most importantly working for YOU. In the photos below you can see the old wrap and the new. What do you think of the change?